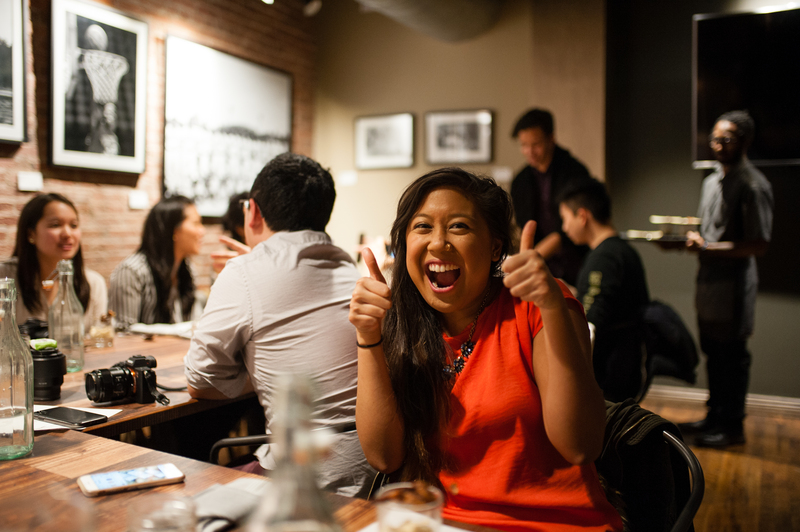 A few weeks ago, I attended a filipino x modern soul food dinner over at Ida B’s Table. The event was a collaboration between Ida B’s Table and Calasag Pop-up. 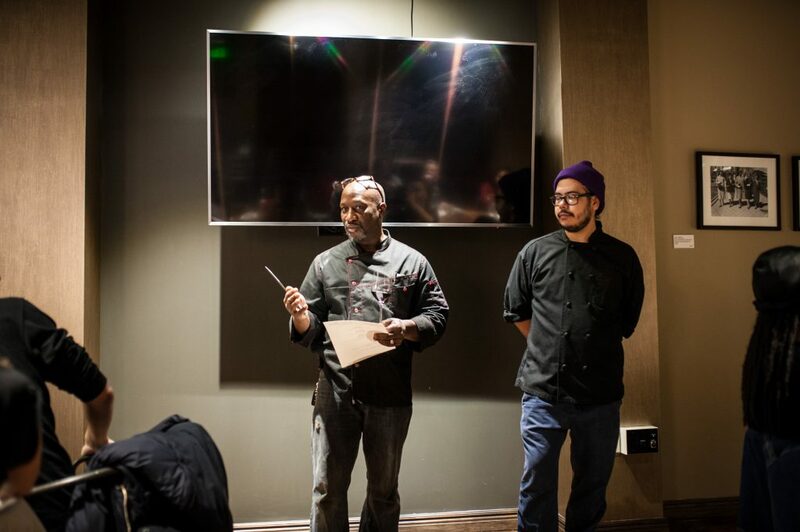 Guests not only enjoyed the fusion of the two cuisines for this one night, but also learned about the similarities between the African-American culture and the Filipino culture in terms of history, culinary traditions, and experiences. Although both of these cultures were on two separate continents and didn’t interact with each other, both cultures struggled and persevered in similar ways. The nights was broken down into two drinks and four courses. The dish would be presented first, the guests would indulge in it, and then Chef David (from Ida B’s Table), Dylan, and Mary Rose (of Calasag Pop-Up) would come out and discuss why they chose that particular dish to fuse together and how that dish connected both cultures in terms of culinary tradition. Alex, an experienced bartender, discussed how he created the drinks and why he decided to incorporate the ingredients he used in the cocktails. Just like the dishes, he brainstormed ideas on how to fuse the filipino-based ingredients with modern soul food-based ingredients. To start off the night, Lugaw was served! 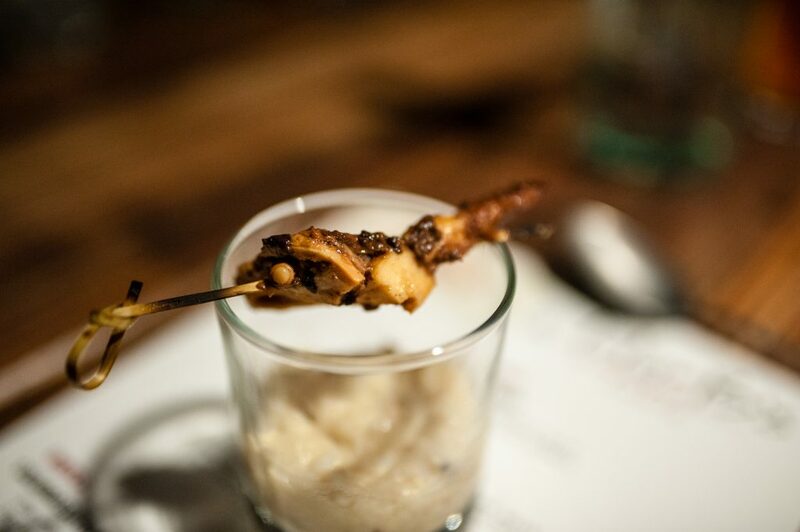 This appetizer consisted of roasted chicken thighs in the congee and smoked, braised octopus on a toothpick. 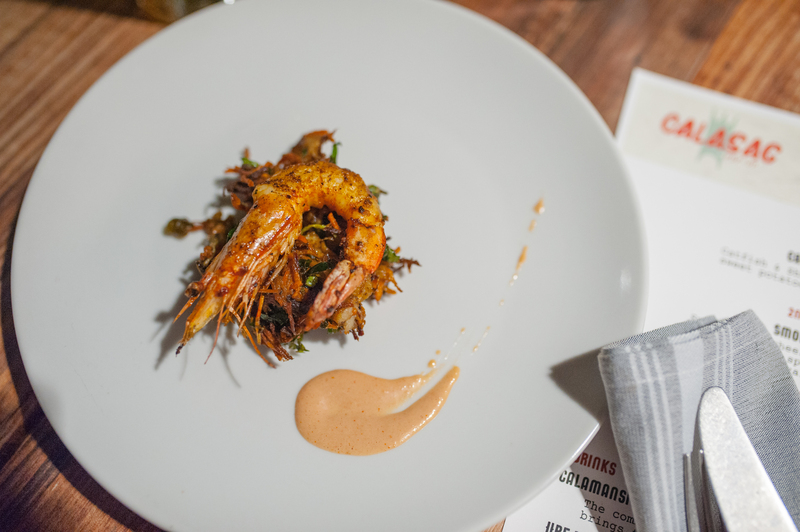 The first course was the Cat Fish Ukoy — catfish and shrimp fritters with sweet potatoes and collard greens. The dish had an amazing crunch to it and the flavors stood out well. I literally ate the whole thing. Yes, I even ate the eyes and the brains of the shrimp! I was so nervous, but everyone told me I could eat them… so I did, and I have no regrets! 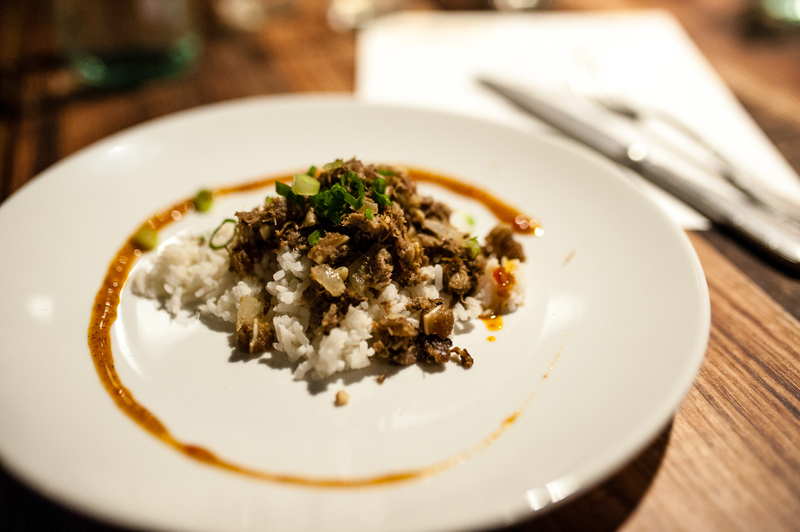 The second course was Smoked Sisig — smoked pork cheek and ears fried with chicken liver spread, thai chilis, and calamari. This dish was a lot more refined than the filipino version of the Sisig, which is very fatty and greasy. 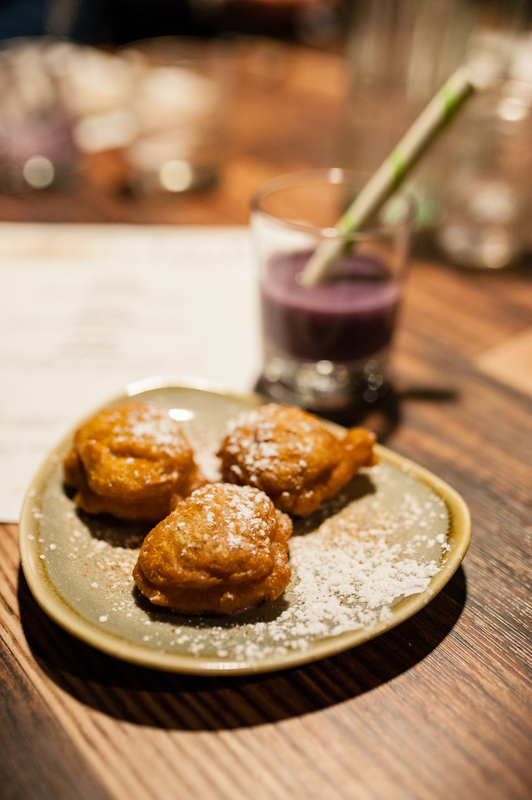 The last course was the dessert, which was made by Tonya: Ube Beignets — A Louisiana deep-fried doughnut made from purple yam and coconut sugar filled with sweet ube. The beignets were super light and fluffy and had a nice crisp on the outside, but a soft puff on the inside. It was a great way to end the dishes. Now! Onto the cocktails! 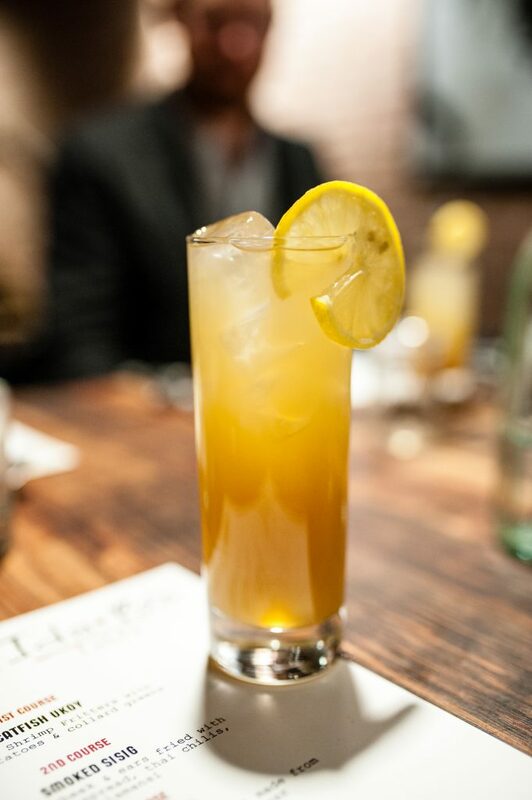 The drink we started off with was a Calamansi Tea Spritz — it’s a combination of homebrew tea and calamansi, which is widely used in filipino dishes. The closest fruit I can think of that’s similar to a calamansi is a lemon. FYI, they are not part of the same family, but they both have an acidic taste. Calamansi tastes like a sweeter lime or a slightly sour orange. The second drink paired well with the Ube Beignets. 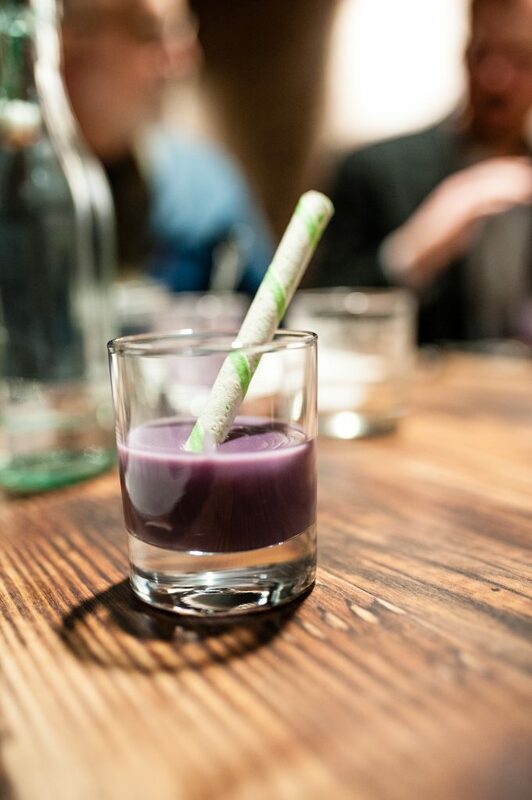 It was the Ube Rum Toddy — warm molasses butter, sweet ube, and rum. I actually ate it with a spoon because it was thick, but it was still tasty. All the dishes and drinks had a story behind them. Dylan and Chef David explained how both cultures were colonized and how both of them struggled to keep their cultures alive. They also talked about how both cultures started off as hunters and gatherers, and how they did not waste any animal parts they cooked. Dylan went in-depth about when the Philippines was occupied by the U.S. during World War II. The filipinos had to cook and serve food to the american soldiers, and the filipinos were devastated to learn that the americans normally wasted so many animal parts that could be eaten; that’s how Sisig came to be, which is pictured as the second dish that was served. 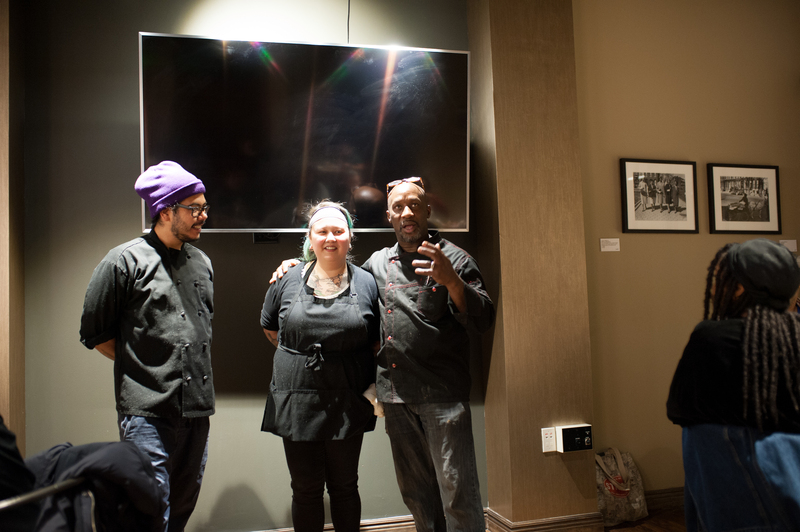 Overall, it was a great night exploring the fusion of the two cuisines and cultures. It definitely was an enlightening experience, and I would totally go on another collaborative journey like this again. I honestly believe Baltimore needs more events like this… and what do you know… Ida B’s Table plans on doing that! 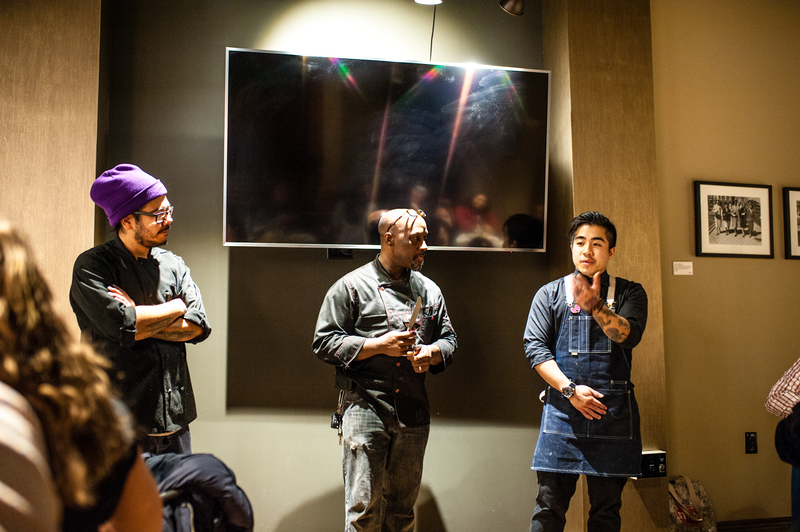 Chef David announced that he plans on doing another cuisine collaborative event. 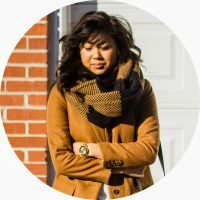 Could there be a korean x modern soul food night? Who knows! All I know is that you will be taken on a wonderful collaborative adventure that you won’t forget! This is Rachel signing off! Pew pew pew! Wonderful write-up! Thanks for recording this special evening.